Day 2 of Bloggiesta, being hosted by Suey at It's All About Books and Danielle at There's a Book, has come to a close for me - I've been sitting at my computer all day and am starting to go cross-eyed, plus I have only about 50 pages left of the book I'm reading (Guilty Wives by James Patterson) and I really want to finish it! I got a lot done today and am looking forward to another productive day tomorrow, where I plan to spend a chuck of time working on my Review Archive page - just need to decide on what format to use. Social Media Icon Tutorial hosted by Lisa at Adventures of 2.0. Time spent today: 10.5 hrs. Current running time: 18 hrs. As always, I welcome any feedback and suggestions. First line: The Glitter Baby was back. From the back cover: Fleur Savagar is the most beautiful woman in the world...to everyone but herself. With her oversized hands and paddle-boat feet, her streaky blond hair and funny green eyes, she lives a life filled with secrets that began before she was born. That was when her bewitching mother left home to find James Dean and met Errol Flynn instead. Now Fleur has to grow up quickly, and life won't make that easy. An ugly duckling who can't believe she's turned into a swan...A tough-guy movie start with a haunted past...In a land of broken dreams, can two unlikely lovers trust their hearts? 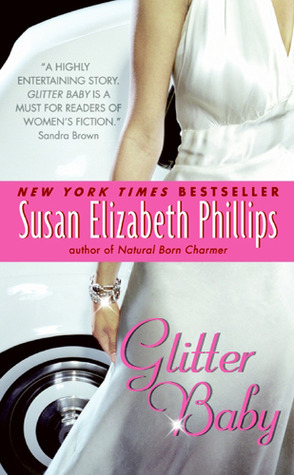 My thoughts: I love Susan Elizabeth Phillips - her books are funny and despite the length, they are easy to get caught up in. I have been trying to finish all the books in the Wynette, Texas series in anticipation of the release of The Great Escape due out in July. In Glitter Baby, we get to hear about Fleur and Jake's story. Having already read some of the books that are in this series (What I Did For Love, and Call Me Irresistible), I knew the outcome, but that kind of made the book even more interesting - it was like a jigsaw puzzle. I had the completed picture in my mind, but just needed to see how the pieces fit together. Glitter Baby takes us through Fleur's childhood to womanhood, highlighting her relationship with her mother and her lover. We see her learn how to become her own person, despite having a mother that is obsessed with Hollywood and will do anything to be in the company of stars, and a father who is manipulative, vindictive, and totally self motivated. Jake Koranda is funny and yet deep. He is a brilliant playwright and Hollywood’s hottest actor. Jake did not want to use her in his movie, but the director ends up hiring her. At that time, she is 19 and he is 28. This is how they meet. He's tortured, but not completely - there's just a little something there to make him vulnerable. He and Fleur are destined for each other - you realize it very early in the book and are cheering for them throughout all their ups and downs, including a betrayal involving Jake and Belinda, Fleur's mother. This book is very hard to put down...it's separated into sections going from past to present, and has many characters, some who you will love (Fleur and Jake) and some that you will not like as much (Fleur's parents). It is funny, heart-wrenching, and I cannot wait for the next book in this series. From the back of the audio case: From the beloved New York Times bestselling author Luanne Rice comes a heartwarming yet heart-wrenching portrait of three far-flung sisters who come home to Martha's Vineyard one last time to say goodbye to the family beach house. Memories of their grandmother, mother, and their Irish father, who sailed away the year Dar, the oldest, turned twelve, rise up and expose the fine cracks in their family myth - especially when a cache of old letters reveals enough truth to send them back to their ancestral homeland. Transplanted into the unfamiliar, each sister sees life, her heart, and her relationship to home in a new way. But how do they let go of a place that contains the complicated love of their imperfect family? 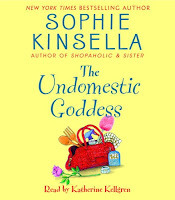 The novel is a season on Martha's Vineyard; a mission to Ireland; a memorable cast of friends, including one wildly off-the-grid Zen genius; passionate love in the surf; and three very different sisters whose lives are filled with beauty, sorrow, and deep love they'd never been quite sure they could trust. 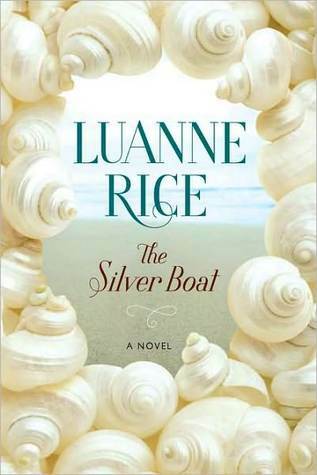 The Silver Boat is Luanne Rice at her very best. My thoughts: I have always loved reading Luanne Rice because she tends to deal with the relationships between sisters, mothers and daughters, and the bonds of friendship. I find when I read her books that I got completely caught up in them and have a hard time putting them down. Some of my favorites by Luanne Rice include Beach Girls, Firefly Beach and Follow The Stars Home. While I enjoyed The Silver Boat, it is definitely not my favorite. In The Silver Boat, three sisters come together to pack up and sell their mother's house after her death. As they do this, the memories come sailing back and they are once again confronted with the fact that their father left their family to sail to Ireland and they never heard from him again. Not willing to let this go, the sisters head to Ireland to find out what happened. This is a story of the sisters learning to accept loss and move on with their own lives, yet they must also find ways to continue the close-knit relationships with each other. There are secrets to be figured out, addictions to be overcome, infidelity to deal with, and relationships to sort out. I will continue to read Luanne Rice, despite not loving this particular story, and look forward to what else she has coming out as well as reading her previous works that I missed. Day 1 of Bloggiesta, being hosted by Suey at It's All About Books and Danielle at There's a Book is done and now we are on to Day 2. I got a quite a bit done on Day 1, despite not being home all day. I had gone down to my sister's to help her out for a few days, but luckily was able to spend most of yesterday on my blog and then after a 2 hour car ride home, I got a little more done last night. Social Media Icon Tutorial hosted by Lisa from Adventures of 2.0. Current running time: 7.5 hrs. 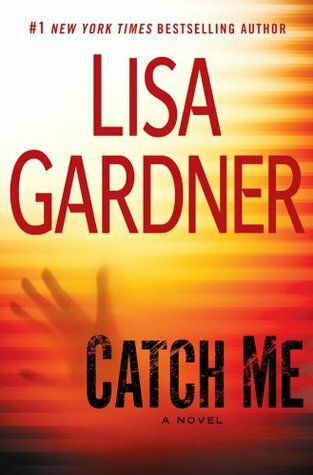 Back in February, I read and reviewed the book Catch Me by Lisa Gardner (click on the title to read my review). It was the 6th book in her Detective D.D. Warren series. I just read it and I give 9-1-1 operators a lot of credit - that is one tough, demanding job! 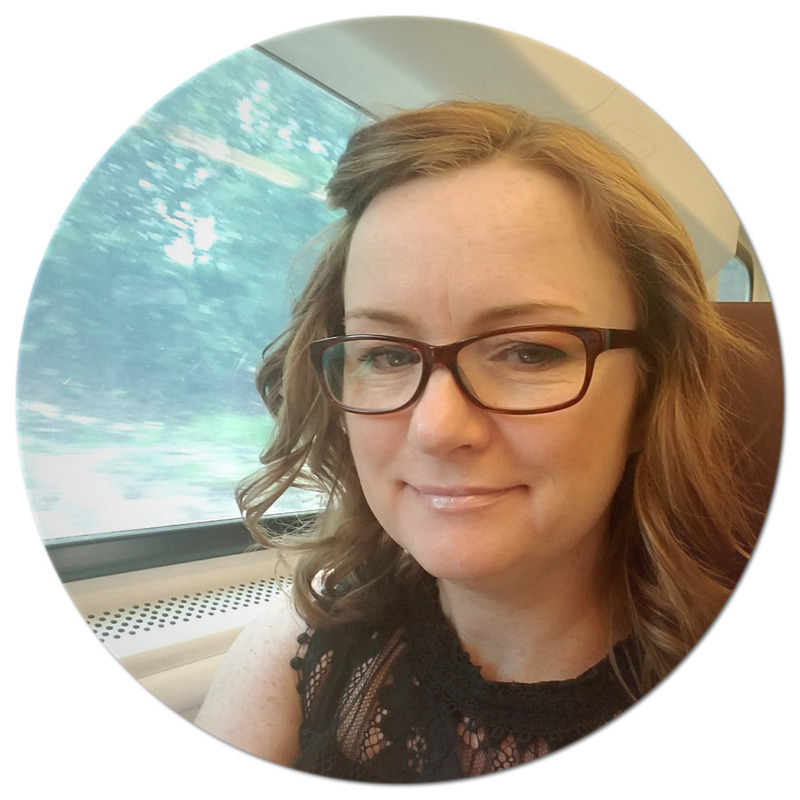 This weekend I will be participating in my third Bloggiesta! The premise of the bloggiesta, for those that haven’t participated before, is to spend the entire weekend working, updating, improving your blog. From minor things such as writing up posts, to reaching out for guests posts and reorganizing all of your tags and categories. It’ll be a fun and hopefully very productive weekend. I'm hoping to log at least 20 hours during this event - hopefully I will get even more in though!!! What about you? Are you participating in Bloggiesta? First line: M, the sun is out and so should we be. From the back cover: Like most sisters, Marguerite and Eleanor were rivals. They were also queens. Raised at the court of their father, Raymond Berenger, Count of Provence, Marguerite and Eleanor are separated by royal marriages - but never truly parted. Patient, perfect, reticent, and used to being first, Marguerite becomes Queen of France. Her husband, Louis IX, is considered the greatest monarch of his age. But he is also a religious zealot who denies himself all pleasure - including the love and companionship his wife so desperately craves. Can Marguerite find enough of her sister's boldness to grasp her chance for happiness in the guise of forbidden love? Passionate, strong-willed, and stubborn, Eleanor becomes Queen of England. Her husband, Henry III, is neither as young nor as dashing as Marguerite's. But she quickly discovers he is a very good man...and a very bad king. His failures are bitter disappointments for Eleanor, who has worked to best her elder sister since childhood. Can Eleanor stop competing with her sister and value what she has, or will she let it slip away? The Sister Queens is a stunning debut novel - passionate, romantic, and epic in scope - from a writer who beautifully evokes the life of the court in thirteenth-century France and England. 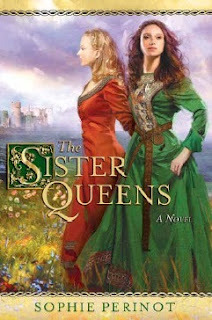 My thoughts: I have really come to enjoy reading historical fiction and this is my first foray into reading about Queens Marguerite and Eleanor, sisters who are raised to be married into royal families and end up being the wives of the King of France and the King of England, respectively. While it is a daunting book at about 500 pages, I was hooked from the start and had a hard time putting it down. The novel is told in alternating chapters between the sisters and I really enjoyed this format, always finding myself anxious to get back to the other sister’s life. Each chapter opens with a letter written from one sister to the other about what is happening in their lives and sharing confidences. I was as excited to read these letters as I was to read each chapter. Marguerite is the calm and level-headed sister and Eleanor is the stubborn and impulsive sister, yet each learn to take on the traits of the other's personality in order to help them adjust and deal with their royal marriages and lives. Marguerite becomes Queen of France upon marrying Louis IX at age 13, while simultaneously Eleanor becomes Queen of England upon her marriage to Henry III at the age of 12. Once the sisters are married, they go many years - almost 20 - without seeing each other and it is through their letters that keeps them apprised of each other's life - showing just how important and strong the bond of sisters can be. And though the two Kings clash over land, the sisters continue to send these missives as family members rather than as Queens of rival countries. I also like how Sophie Perinot gives readers a different perspective of Henry and Louis. She doesn't just focus on what they did for their countries during their reigns, but looks deeper, focusing on the relationships they have with their wives and children. She shows that even if they might have been one of the most favored kings, they were not necessarily the best husband or father. 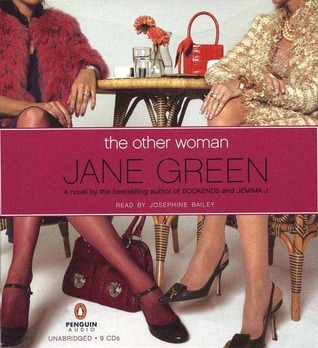 I am now very intrigued about the lives of these two queens and will certainly be looking for more books about them. I also hope to see more from this author - she is a great writer and clearly does her research in order to craft a well-developed tale. First line: Nash Barron might be cynical about life and more recently about love, but even he normally enjoyed a good wedding. My thoughts: This is the next installment in Carly Phillips' Serendipity series. I have been a fan of Carly Phillips since reading The Bachelor back when it was a Kelly Rippa book club book. 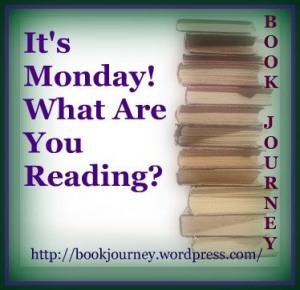 From the moment I picked up the first book in this series, Serendipity, I was instantly in love. The series provides a fun contemporary read set within a family dynamic that I really enjoy. Destiny is about Nash Barron and his romance with Kelly Moss. Nash has to confront his past and his hatred for his oldest brother. Kelly needs to focus on building a new life. Neither needs the complication of a relationship, but a heart doesn't care what your plans are, they have minds of their own. In the first novel of the series Serendipity we were introduced to Barron brothers Ethan, Nash, and Dash and I have to say that Nash was my least favorite. So I went into this story a little wary, knowing that I might end up disliking him even more or he would end up growing on me. Nash came across in Serendipity as maybe the harshest brother, very angry and unforgiving of Ethan and decisions Ethan made as an 18 year old kid. Nash sees everything in black and white and struggles to be what he thinks people need him to be. In Destiny, Nash becomes more self-aware. His eyes are opened up to how people perceive him and he doesn't like the reality of it. He makes a real effort to change, realizing that the issues he thought were other people's problems, are really his own and he takes steps to repair relationships within his family. I love how Carly Phillips doesn't forget the beloved characters from the first story, making them wonderful secondary characters, while still giving Nash and Kelly plenty of attention and cleverly setting up the next book in the series. I cannot wait for Dare's book. I loved the little glimpses that we saw of his cracks and I think that his is going to be a pretty powerful story! It's been a slow week, trying to catch up from being away on vacation. How is it that it's always twice as much work going away than just staying home??? Not that I would take my vacation back - Aruba was amazing and I wish I was still there. 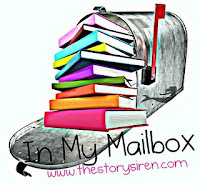 This week I will get trying to catch up on reviews as well as getting my list of things-to-do on my blog for the upcoming Bloggiesta this weekend. I can't wait as I have quite the list! Are you participating in Bloggiesta? If you haven't signed up, head over here. First line: The afternoon was so cold, so relentlessly gray, few pedestrians passed the long island of trees dividing Commonwealth Avenue, and even little dogs, shunted along impatiently, wore thermal coats and offered expressions. From the back cover: When Nina Revskaya, once a great star of the Bolshoi Ballet, decides to auction her jewellery collection, she believes she has finally drawn a curtain on her past. Instead she is overwhelmed by memories of her life a half-century before. It was in Russia that she fell in love - and where, spurred by Stalinist aggression, a terrible discovery led to a deadly act of betrayal. Now living in Boston, Nina has kept her secrets for half a lifetime. But two people will not let the past rest: Drew Brooks, an inquisitive young associate at the auction house; and Grigori Solodin, a professor who believes the jewels may hold the key to his past. Together these unlikely partners unravel a literary mystery whose answers hold life-altering consequences for them all. My thoughts: I loved this story...I have always been intrigued by Russian history and this novel leaves you with a little taste of that. It moves seamlessly back and forth between modern-day Boston and post-World War II Russia, with a love story and mystery thrown in. The past story is told from Nina's eyes, the present from Nina, Drew, and Grigori and the mystery and secrets unfold in pieces. Russian Winter is a tale about life, love, struggle, betrayal, and the determination of the human spirit. There are two main stories at work here: Nina's life in Stalinist Russia just after World War II as a dancer for the Bolshoi Ballet, and Gregori Solodin's struggle to find out about his past in twenty-first century Boston. We also see Nina as an old woman in Massachusetts, preparing to sell her jewellery collection, and learn of Drew Brooks, a young woman from the auction house who is looking for answers to the jewels' secrets. Throughout the book, Daphne Kalotay gives little clues in either the past or present and then quickly changes back to the other timeframe - a writing style that I have come to really enjoy. I also found the glimpses into the life of a ballerina to be fascinating. As a debut novel, Russian Winter is an intense, emotional read and I look forward to seeing what comes next from this amazing author. 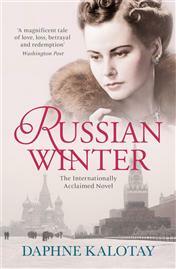 I received a complimentary copy of Russian Winter by Daphne Kalotay to review from Sarah at Random House Group, London. Thanks to Sarah at Random House Group, London, I have five copies of Russian Winter to give away to my readers. Giveaway is international. - +1 additional entry each, please help spread the word by blogging, posting on sidebar, tweeting or posting this giveaway on Facebook. ***This is for the past 2 weeks. This came while I was on vacation - sounds like a good thriller! Saw this short-story and couldn't resist buying it. I've always enjoyed Jane Green's books and this one sounded light and fun. 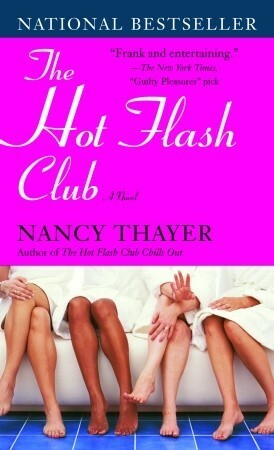 I've read a few books by Nancy Thayer and found this one - it looks hilarious! 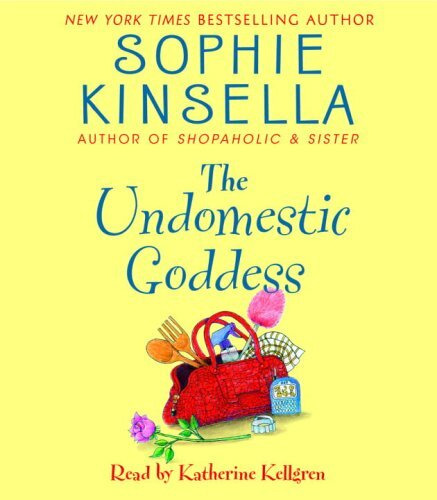 I've read quite a lot of books by Sophie Kinsella - all of the Shopaholic books and just started reading some of her stand-alones. This one sounds like a good one! First line: There are supermen and superwomen who walk this earth. From the inside cover: Celebrate the glory of the Olympic Games - before a psychopathic killer extinguishes the flame forever. Newspaper reporter Karen Pope receives a letter from a person who calls himself Cronus claiming responsibility for the murders. He promises to restore the Olympics to their ancient glory and to destroy all those who have corrupted the games with lies, corruption, and greed. Immediately, Karen hires Private to examine the letter, and she and Peter uncover a criminal genius who won't stop until he's completely destroyed the modern games. "America's #1 storyteller" (Forbes) delivers an exhilarating, action-packed thriller that brings the splendor and emotion of the Olympics to a wildly powerful climax. 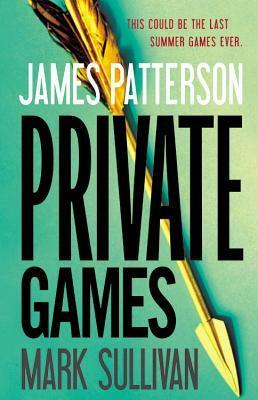 My thoughts: Depending on what site you look at, Private Games is either the 4th book in the Jack Morgan/Private series (per FictFact) or it's the 2nd in the Private series (per Fantastic Fiction). Either way, it's quite an intense story especially in light of the upcoming Olympic Games this summer in London. There is a killer targeting Olympic athletes and others involved in the London 2012 games. He wants to eliminate all those who cheat, using performance drugs that have been undetected by drug tests. MI5, Scotland Yard and Private are all working together to stop the carnage and prevent the games from coming to a halt. Peter Knight, a Private operative based in London is drawn into the case when his mother's fiance and a high ranking member of the organizing committee is found murdered in the garden of his home. Reporter Karen Pope is sent a letter claiming responsibility for the crime - a crime committed because the modern day games are an insult to the Olympic spirit. Or is there another motive? 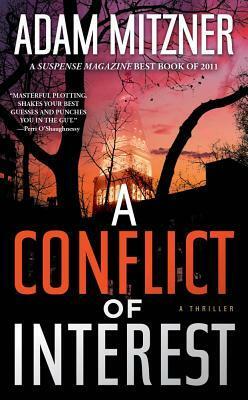 As is typical of James Patterson's books, this one is set up with short chapters that you can't help fly through. Add in the suspense of what is happening, with many twists and turns, and you find yourself reading just one more chapter until you are at the last page - many times in just one sitting. In this book, the chapters about the killer are told from his perspective, while the other chapters are told about the main characters, including both Peter Knight and Karen Pope - first person versus third person. The book seamlessly flows back and forth between these two styles of narration to propel the story forward. As many of you know, I am a huge James Patterson fan and read just about all his books. I really have come to enjoy the Private series and hope this series continues for a long time. 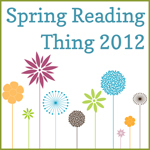 Katrina over at Callapidder Days is hosting the Spring Reading Thing Reading Challenge. The challenge is to pick books you would like to read this spring and then keep a record of how you do. The challenge runs from March 20 to June 20. If you'd like to join, head over here to sign up. 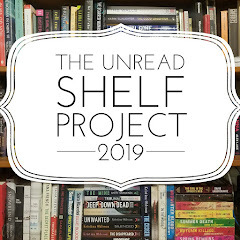 This is a combination of books I need to review as well as books I have on my TBR pile and some new releases that I know are coming out during this time. I think I should be able to get through all these, plus a few others. OK...I know it's Wednesday, but I just got back from vacation last night. Aruba was great - reading by the beach all day long is my idea of a perfect vacation and that's just what I did. Now it's back to reality - catching up on emails, mail, work, house stuff, etc. Oh how I wish I was still sitting on the beach! ???? - not really sure about this yet - have to see what's piled up! This was a quiet, somewhat productive week. I got some reviews done and managed to get some reading time in - but not as much as I had hoped. On Saturday, I spent the day at a charity scrapbooking crop - all proceeds went to Make-a-Wish. I managed to get quite a bit done - but as I was getting ready for the day, I realized I hadn't scrapbooked since last year's event. I need to set aside some time more often to scrap! The rest of my week was devoted to getting ready for my vacation - I leave tomorrow for Aruba for a week and cannot wait!!! I have a few physical books with me and my Nook is loaded up - not exactly sure what I will be reading, but I definitely have options! See you when I get back!! !